Taipei is home to many charming lanes and alleys, of which the most unique and wonderful boutique stores and restaurants are tucked away inside, distant from the noise and traffic. Located in the “Minsheng” district, which was more or less known for its density in schools and parks, the inhabitants of the district have organized and successfully transformed this area, especially Fu Jin Street to become one of the most beautiful streets in Taipei. 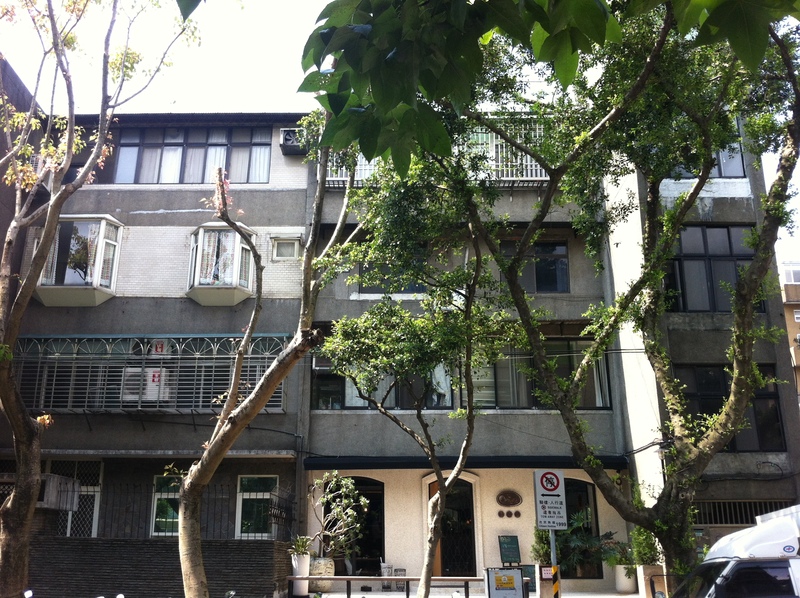 The most characteristic of Fu Jin Street is the two luscious tree shades alongside the road, which is rather uncommon in the busy streets of Taipei. Along the main street and the lanes, design studios, unique coffee shops and lifestyle stores are dispersed within. I visited Cafe Sonnentor because of the art exhibition they were holding currently. 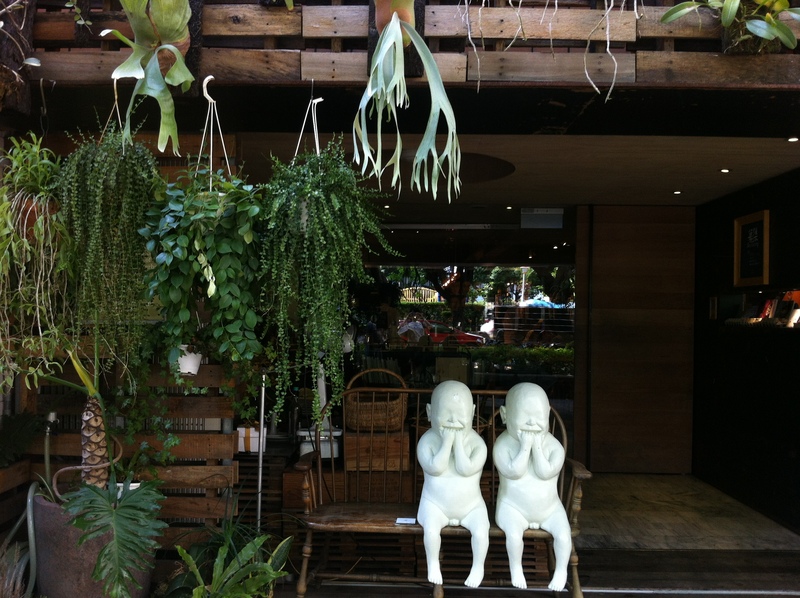 This is a beautiful cafe with lots of greenery, tasty deli selection, and the artwork is changed monthly on the walls. I loved the works of Guim Tió Zarraluki, whose work is currently on display due to an invite from the owner of Sonnentor Cafe during their employee training in Spain. 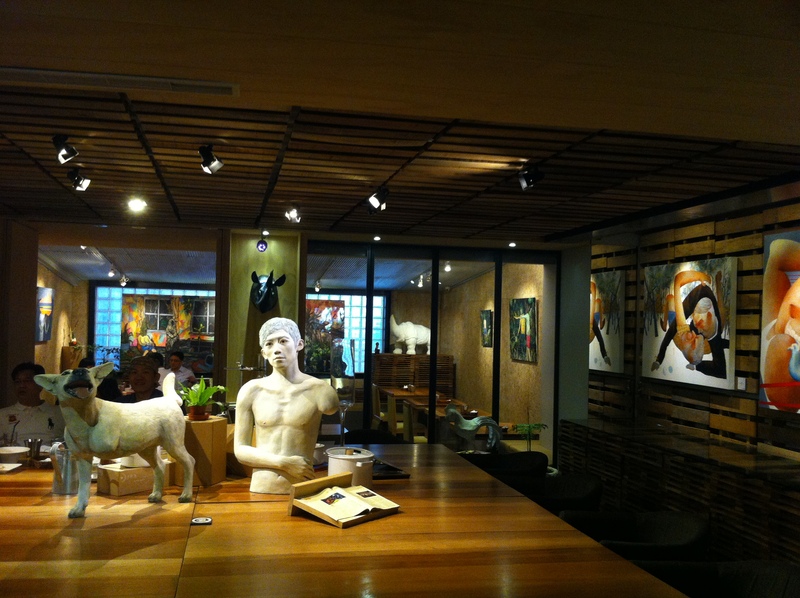 There are also sculptures and paintings from other artists further down inside the cafe. Besides from running a cafe, exhibition space, Sonnentor is also known for its bakery. Their pastries are supposedly healthy and delicious, made from the finest ingredients. Fu Jing Street is a wonderful street to take a stroll on any given day. Spend a relaxing afternoon here enjoying life at a slower pace. 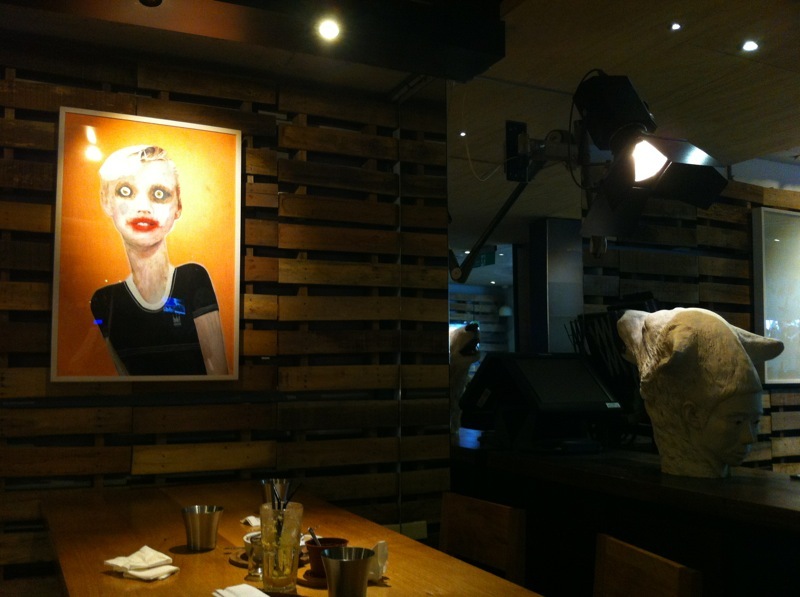 This entry was posted in Stuff we love, Taipei, Taste and tagged art, cafe, exhibition, food, painting, sonnentor, Taipei.